Gary Carl Simmons, Jr., was executed by the state of Mississippi on June 20, 2012. Gary was pronounced dead at 6:16 pm CDT, inside the execution chamber at the Mississippi State Penitentiary in Parchman, Mississippi. Gary was 49 years of age. 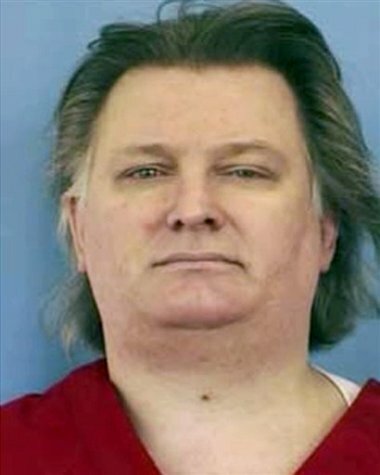 He was executed for the murder of 21-year-old Jeffery Wolfe on August 11, 1996, in Simmons’ home. The murder was drug related. Jeffery’s girlfriend was raped during the crime. Gary’s brother testified that Gary had a difficult childhood and was frequently beaten by his father. Gary worked several jobs before he was arrested. He was also a drug dealer. Please pray for peace and healing for the family of Jeffery Wolfe. Please pray for the family of Gary Simmons.